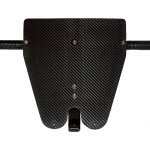 Dreher Adjustable Carbon Foot Stretchers are designed to custom fit almost any sculling or sweep boat from a single to an eight. We offer several families of foot stretchers with multiple plate options. The different foot stretcher frames provide every possible solution for weight, stiffness, and shoe compatibility with a full range of adjustment. Adjustable carbon foot stretchers are used as original equipment for several first-tier manufacturers in North America, Europe, Great Britain, and Australia. These unique lightweight foot stretcher designs are durable and strong while providing excellent energy transfer. Most of the foot stretchers are adjustable in three ways: fore and aft, up and down and angle inclination. Most models have shoe splay adjustability. Some models have different widths of shoe placement. 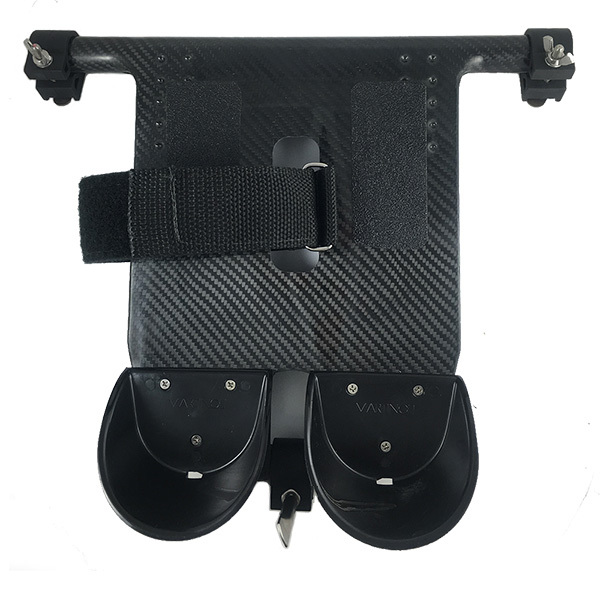 The footplate on which the shoes are attached is easily removable from the boat, so you can take your shoes and foot plate out of the boat when not in use. In a crew boat, you can quickly move your shoes from seat to seat when the coach decides to change the boating. This means no more shoes that are too big or shoes that are too small. The correct size shoe provides more control at the finish when your feet need to be firmly attached to the boat. 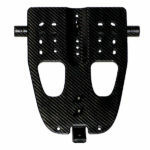 The carbon foot stretcher consists of two parts: The crossbar and heel-plate assembly or “frame” and footplate with shoes attached. By simply loosening one thumb screw, the footplate with shoes attached is easily removable from the crossbar. 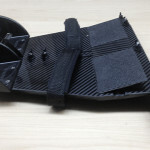 This quick disconnect feature allows easy shoe removal (i.e., shoes and footplate together) and can be changed from boat to boat and seat to seat. The tube within a tube (heel plate assembly into crossbar) is adjustable for length, height and angle adjustment (35 to 45 degrees). A decal shows the angle of the foot plate at each adjustment position. An extra-wide footplate was added to provide a greater range of shoe-placement on the board and later upgraded with a more secure clamping system. 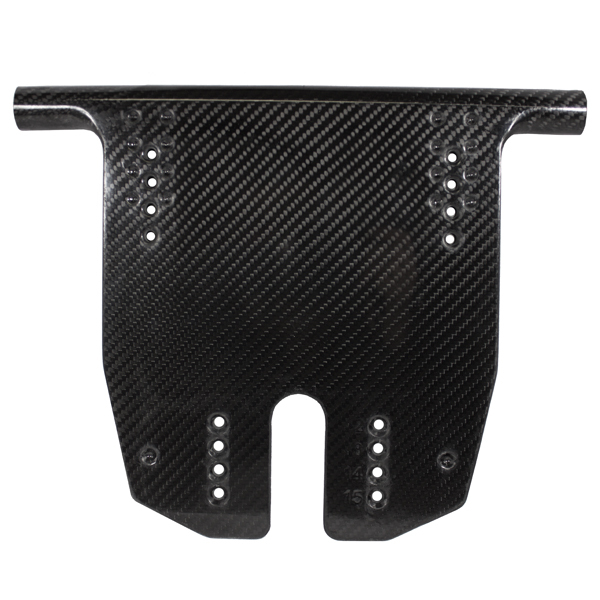 Within three years of its original design, we angled the foot board to promote better connection at the finish, while also providing greater connection throughout the drive. The F4 X-Stiff is a foot stretcher with maximum stiffness at the keel to limit torsional movement common to sweep boats due to uneven pressure applied with the heels. This is the stiffest foot frame available for this application. It has the same adjustment features of angle, footplate height, and horizontal placement as the other models. The increased overall stiffness of the foot stretcher relies on a double T-bolt and metal track at the keel connection to the boat. This results in improved torsional stiffness. 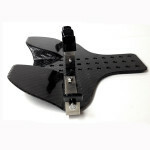 When used with the angled plate, the shoe plate is stiffer by the angled design. The steeper toe-angle, promotes better connection at the finish. The F4-Stiff foot stretcher has incremental shoe height adjustment. Nylon circle wedge attachments at the keel replaced the double T-bolt and metal track. This change made retrofitting easier for boats with the older tubular foot stretchers. 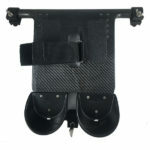 A flat plate was also added to the options for this foot stretcher. This foot stretcher has three frame sizes small (4-hole), medium (5 hole) and large (7 hole). 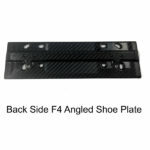 Three shoe plates are available: two angled shoe plates sizes accommodate 15 cm width shoes (shoe center to center) or 16 cm width and one flat shoe plate. With the conventional (circle wedge) keel attachment the foot stretcher is “Stiff” and with the more expensive metal keel piece with the double T-bolt attachment it is “X-Stiff”. The F5 foot stretcher is light, stiff, can be used with or without a foot plate which attaches from the front. 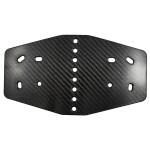 Shoes can be mounted directly to the frame or fitted on the football Foot Plate (below) for greater ease and speed of adjustment. As OEM equipment on high-end racing shells, the F5 with separate footplate affords the convenience of quick and easy access for shoe height adjustability. 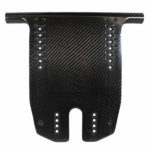 Without the separate shoe plate, this an economical option on a more modestly price boat. The foot stretcher frame cannot accept an angled foot plate at this time. These two models are designed for an OEM customer. This design allows each athlete to have their own shoes and use them for cross-training. Shoes no longer need to be firmly attached to the boat. The new system allows for several models of commercially available shoes to attach to the special shoe plate designed and manufactured by Dreher. Athletes can be easily moved from seat to seat while keeping their shoes on. 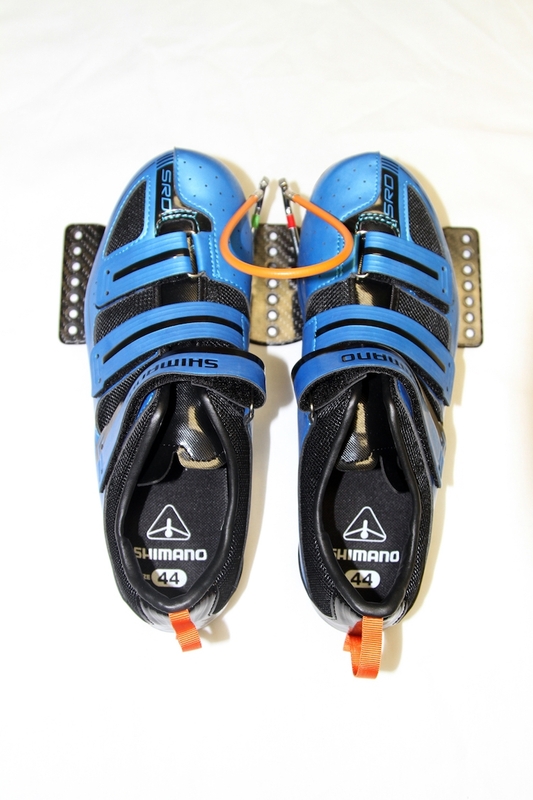 Each athlete has the desired shoe fit and the shoe plate is designed for better power transmission. 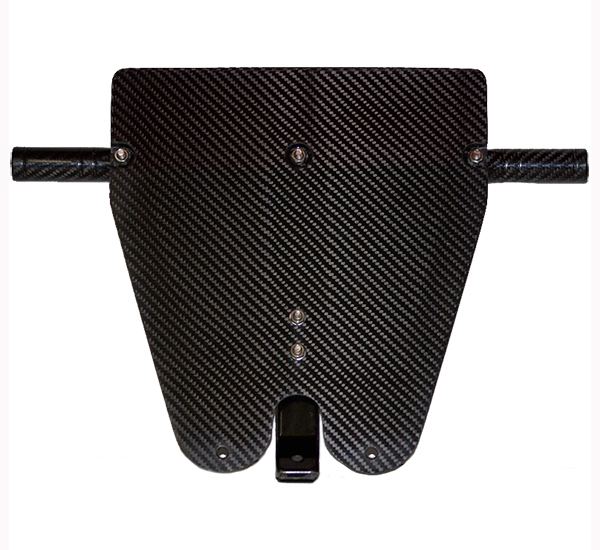 Lightweight rowing shoes with quick heel releases are mounted on the height adjustable carbon footplate. The total weight of the foot stretchers (with shoes) is 2 to 2.5 pounds (weight dependent on shoe size) and without shoes is approximately one pound. This foot stretchers are mostly purchased by individual single and double scullers. 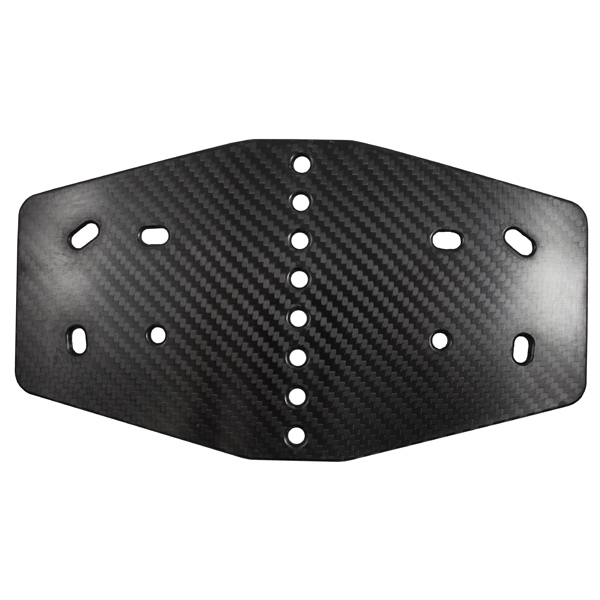 It can also be used in our Rec-Racer, a high performance all carbon recreational shell. Anyone rowing a boat would have their own pair of shoes that can be worn to and from practice or around as their primary shoe. Instead of having one pair of shoes per seat in each boat used by multiple shifts of people per day, our new system would allow for a properly sized shoe for each athlete and thereby enhance athlete performance and promote better foot hygiene. 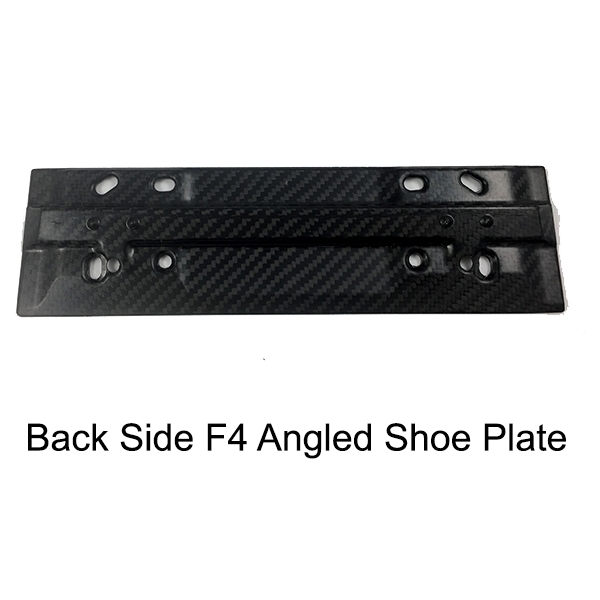 Snap-In Shoe Plate Usage: The plate is angled to give optimum connection during both the catch and the drive, but could be offered in a flat plate as well. 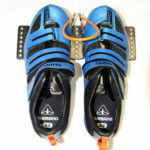 The user simply places the outside of the shoe into the spring clip and pushes down with the foot. Our system provides a low cost, snap-in side entry including a heel tie-down that we have offered with our foot stretchers for many years. Upon completion of the rowing workout, the mechanism provides for easy release of the shoes by squeezing the two spring clip tabs together. Note: The weight of the Shoe Plate with hardware is only: 254 grams. Some of the Shoes Offered: There are quite a number summer models of On-Cloud shoes that we now offer with our snap-in shoe mechanism: The “Cloud” (lightest weight) and the other models are available at different price points. The On-Cloud shoes are between 5.9 to 9.5 oz. (size 7 women’s) or 7 to 11.1 oz. (size 8.5 men’s), while the K-Swiss are 10 oz. (size 6 women’s) and 13 oz. in weight (size 8.5 men’s). The On-Cloud shoes vary in stiffness, traction, and cushion and are lighter in weight. Ordering Procedure: First we must make sure that our new shoe plate is compatible with your foot stretcher. We will need information on your boat model and the hole spacing of your present foot stretcher frame. In some cases, we may require you to send your existing foot stretcher to see if we can make the shoe plate work. Once we determine that the Snap-In shoe plate is compatible with your boat, then you would purchase a pair of shoes online at the manufacturer’s website or at a discount shoe dealer. The following are the manufacturer’s websites for the options that we think most people will like: On-Cloud Shoes. 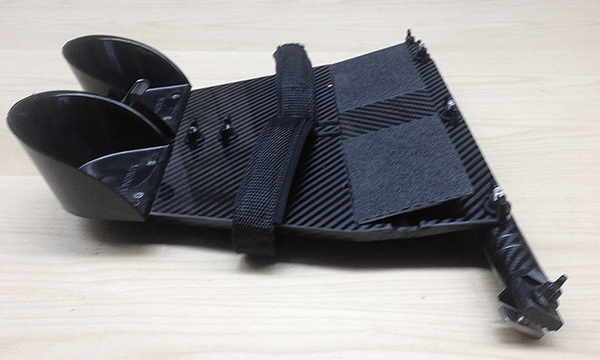 A lightweight foot stretcher for people that do not have access to a dock and must wet launch. In cooperation with Shimano, we have designed shoe plates to be used in conjunction with Shimano Flex-Foot Shoes and Binding Systems for popular OEMs brands of coxed eights and fours. So far we are in production with shoe plates compatible with Vespoli 4+ and 8+.